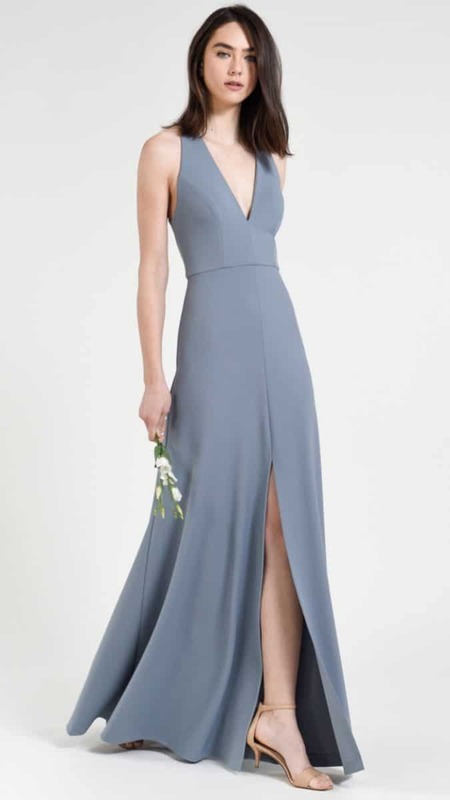 Your look at the Jenny Yoo Bridesmaid Dresses for Fall 2018! 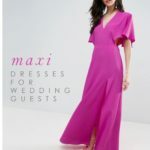 This new collection is full of the colors, patterns, textures and beautiful, clean designs you’ve come to expect from this designer of modern and classic bridesmaid dresses. 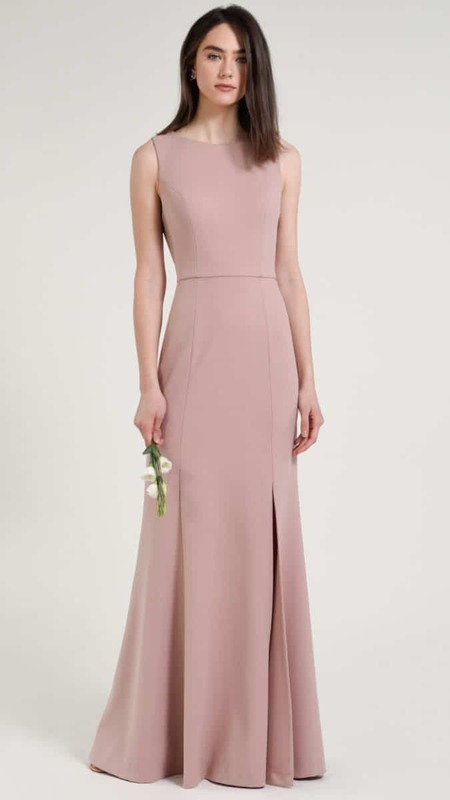 This is the latest Jenny Yoo Bridesmaids Collection for Fall 2018. 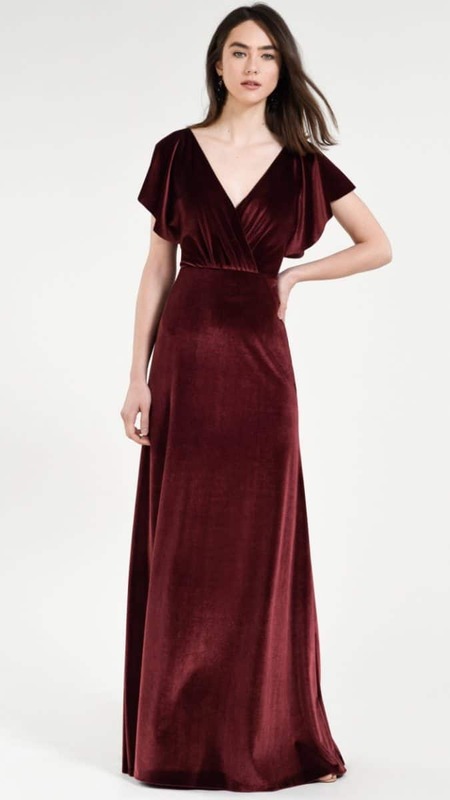 The fall bridesmaid dress offerings are full of floral prints, rich velvets, and satin metallics. 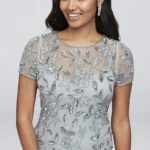 These fabric options bring a variety of choices in textures and colors for your bridal party to find just the right look. These new silhouettes for Fall 2018 are available in many colors other than what is shown here, with shades and prints that are specifically designed to mix and match. 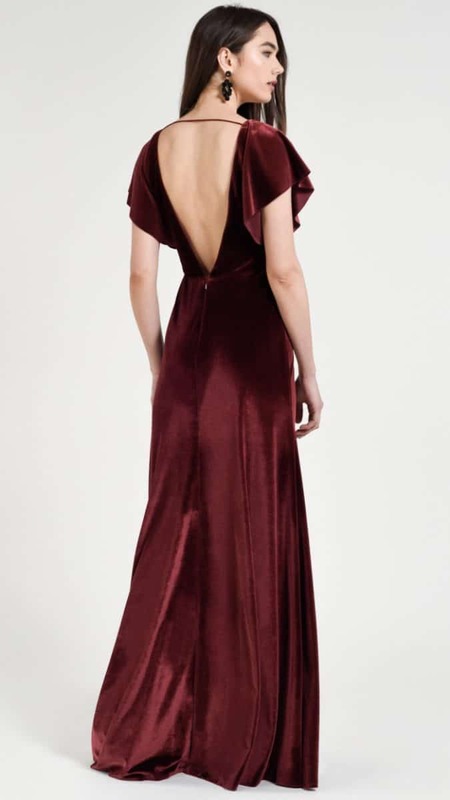 For even more inspiration of the ways these dresses can be styled, don’t miss this feature on the Jenny Yoo 2018 Bridal and Bridesmaid Collection. 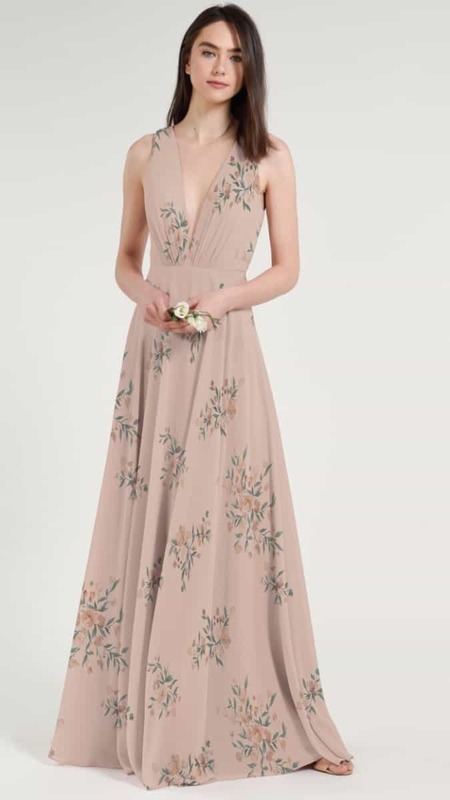 All of the following dresses are by Jenny Yoo Bridesmaids. Photos by Marcy Castelgrande. 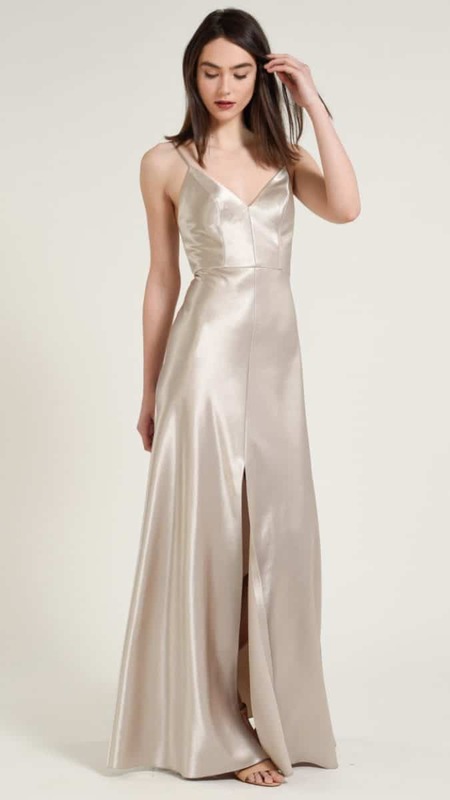 Jenny Yoo bridesmaid dresses are available through Jenny Yoo, and through bridal boutiques that carry the Jenny Yoo label, which can be located on the Jenny Yoo website. 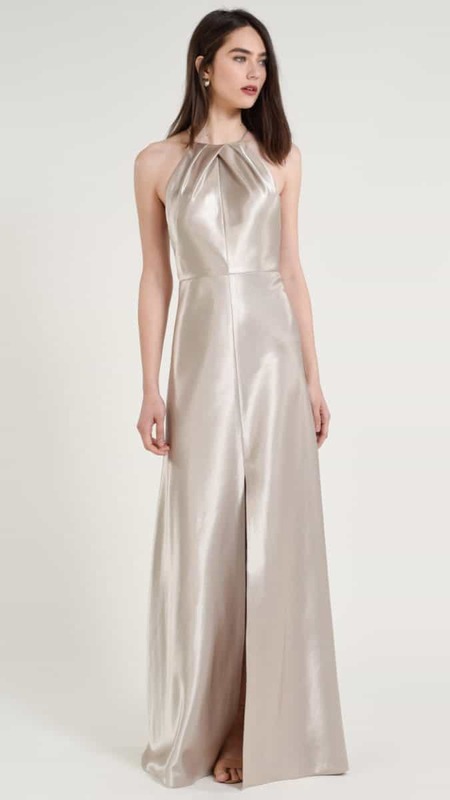 Don’t miss this recent feature on the Jenny Yoo 2018 Bridal and Bridesmaid Collections for more ideas on how to style your bridal party. 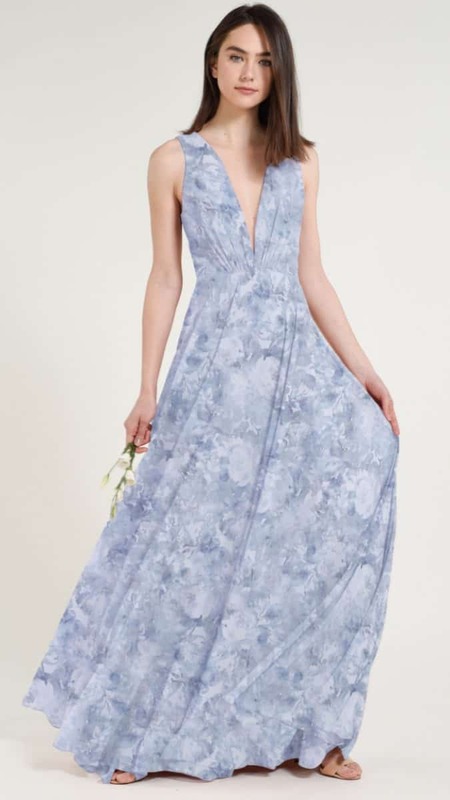 We also love the Jenny Yoo bridesmaid dresses in this dusty blue, sage, and floral mix and match bridesmaid look. 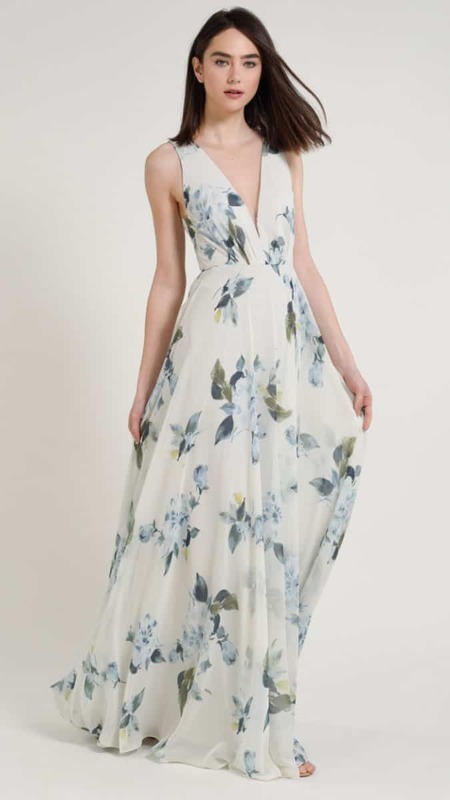 For wedding dress inspiration, see the latest for Spring 2018 from our feature of the Jenny by Jenny Yoo Bridal Collection. 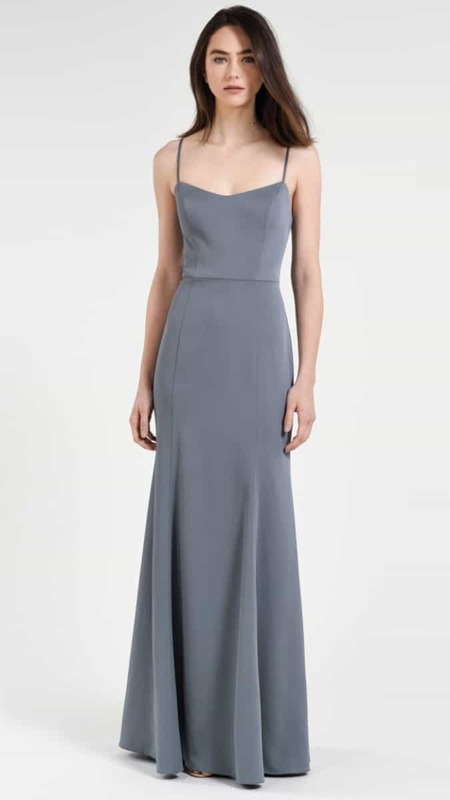 You can also find Jenny Yoo Bridesmaid dresses at Nordstrom, and through Amazon, which you can try on via Amazon Prime Wardbrobe.